Dan Barnowski is a partner in the firm's Litigation practice, focusing on complex commercial litigation, with substantial experience in health care fraud and abuse matters. He has litigated and tried cases before courts and administrative forums throughout the United States. Dan has handled claims of health care fraud and abuse under numerous federal and state statutes, including the False Claims Act, as well as internal and government investigations in the health care industry. He has also represented a number of employers in alleged retaliatory personnel actions involving claims of whistleblowing against corporate wrongdoing and has represented clients in contract disputes, bankruptcies, energy hearings at the Federal Energy Regulatory Commission (FERC) and other matters. Dan has served as lead litigation counsel for clients in numerous cases involving a host of health law issues. He has represented a number of hospitals, hospital systems and physician groups in litigation under the False Claims Act, Stark Law and Anti-Kickback Statute. He has represented a Medicare Part D Plan in its fraud and breach of contract action against its former pharmacy benefit manager. Dan has also served as lead counsel in dozens of Office of Medicare Hearings and Appeals—administrative law tribunal hearings—which successfully challenged a retroactive change in the application of the law by the Centers for Medicare and Medicaid Serves. In addition, he has handled matters concerning computer-assisted coding used to process medical reimbursements and billings submissions; challenges to the application of accreditation of standards for graduate medical education; the efficacy of medical waste disposal equipment; secondary payor implications raised by changes to an insurer's reimbursement program; and disputes between a dental clinic management company and its contract partners. Dan also has served as a faculty member at the American Bar Association’s False Claims Act Trial Institute. Dan was litigation counsel for the City of Detroit Retirees Committee in the City of Detroit bankruptcy, the largest municipal bankruptcy in US history, in which the city proposed cutting billions of dollars of unpaid pension obligations and other post-employment and health benefits owed to its retired workers. 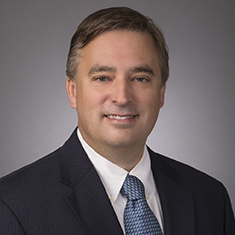 Dan also has substantial experience in energy law matters and has served as lead trial counsel in several FERC hearings and contested rate cases. Shown below is a selection of Dan’s engagements. Litigation counsel on behalf of one of the City of Detroit's largest creditors in the largest municipal bankruptcy in US history. Lead counsel for multiple hospital health care systems and hospitals in a number of False Claims Act cases involving alleged violations of the Stark Law, the Anti-Kickback Statute, the False Claims Act and other federal statutes. Obtained dismissals of numerous such cases at the initial pleadings stages. Defeated certiorari petition to the US Supreme Court in one such dismissal. Lead counsel for a foreign government in a breach of contract claim brought by a former citizen and alleged whistleblower; obtained a dismissal under the US Foreign Sovereign Immunities Act and defeated a petition to the US Supreme Court for a writ of certiorari. Lead counsel to an insurance company in prosecution of breach of contract and fraud claims against its former pharmacy benefits manager; obtained highly favorable settlement. Lead counsel for the one of the United States' largest portable x-ray providers in dozens of administrative law tribunal hearings before the Office of Medicare Hearings and Appeals. Obtained reversal of thousands of denied Medicare claims based on a retroactive change in the law by CMS. Litigation counsel for a dental clinic management company in a number of matters, including obtaining injunctive relief against contract partners and preventing the forced disclosure of the company's privileged materials by interlocutory appeal. Representation of a major insurance company in several fraud-based actions, totaling US$500 million, brought in three federal district courts, a state court, a bankruptcy court and the US Court of Appeals for the Third Circuit. All actions arose out of an alleged fraud in the generation and sale of student loans and the procurement of insurance on the loans. The cases ended favorably for the client. In addition, the lead perpetrator of the fraud was convicted for his untruthful testimony in the course of the cases and his efforts to conceal what became of the company's money. Representation of an insurance company in a two-month, US$15 billion fraud case brought in federal court in Miami; obtained complete defense verdict. Counsel for an international social services organization in a US$100+ million RICO and common law fraud jury trial, which resulted in a directed verdict. Lead counsel for a television station in a week-long trial in Texas involving a TV ratings system. Representation of an insurance company as employer in a two-week whistleblower jury trial in Florida. The case resulted in a directed verdict for the client. Lead litigation counsel in numerous contested electricity rate proceedings and FERC hearings.